Innovative, creative and diverse, Kitchener lies at the heart of Ontario’s Waterloo Region. 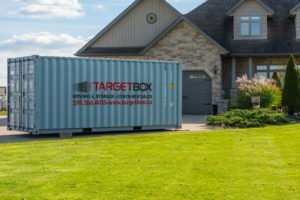 TargetBox provides moving & portable storage solutions to the residential & commercial market in Kitchener, ON and surrounding communities. TargetBox has been offering moving & storage in Kitchener ON and the surrounding region since 2009. From our yard, located at 660 Fountain Street North in Cambridge, ON, we provide shipping container rental and sales for home owners, business owners, companies and students. 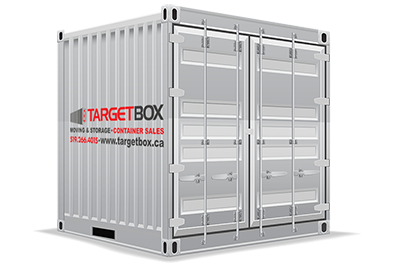 Whether you’re interested in renting or buying a shipping container, TargetBox can provide you with the unit you need. Our new and used shipping containers are all equipped with secure locks so you don’t have to worry about keeping your belongings safe and dry. Storage units from TargetBox are weather and rodent resistant. We offer monthly rental contracts, so you are never committed to a long-term commitment. That’s because we believe that renting a shipping container should be a cost-effective solution for your short or long-term storage needs. 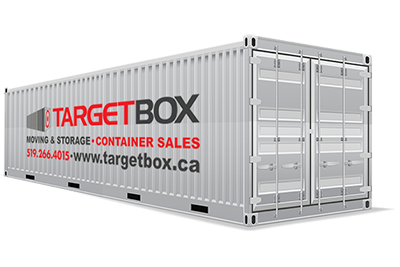 Whether you are looking for a used container that doesn’t need to be in perfect condition, or are looking for a brand-new storage container, TargetBox has you covered. 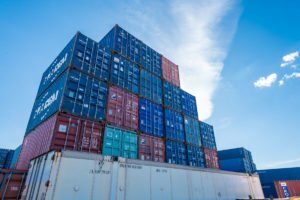 We offer a variety of types of shipping containers, including Construction Grade, Good Shape (Used), and One Trip (New). Take the stress out of storing your household belongings when you move by renting a moving container from TargetBox. From our container yard in Kitchener, ON, we provide a variety of simple, safe, and affordable storage solutions. 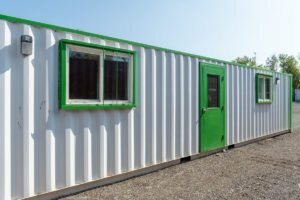 We offer shipping containers in three convenient sizes, so there’s sure to be one that fits your storage needs. Our 20′ units will hold the contents of most two to three-bedroom homes. If less space is required, try a 10′ unit. Need more space? Our 40′ container unit can hold the contents of even the largest home. And if you can’t store your storage unit on your property is short of space, we can store it at our secured storage yard. TargetBox storage units make your next move convenient and affordable. We deliver your storage container whenever you need it, and it can remain on site until your move is done. Take your time packing and avoid the added stress and expense of dealing with a moving company. And enjoy the peace of mind of knowing that our secured container units will keep your household items safe and dry. Looking for a temporary, portable storage solution for your construction project or job site? 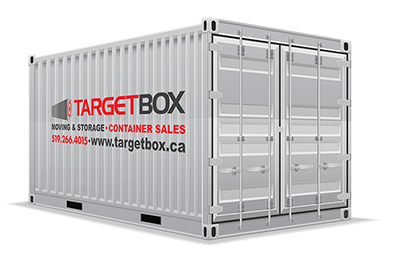 TargetBox offers new, used and construction-grade container units to the commercial market in Kitchener, ON, and surrounding areas. A steel storage unit from TargetBox offers a safe, economical storage solution. Our units are weather and moisture resistant so you can store your goods in a dry, clean and safe place. Whatever your company needs, we’ll work with you to provide an effective storage solution that is secure and that fits your space and budget. Discover why a portable storage unit from TargetBox is the practical and economical choice when compared to other warehousing and other storage alternatives. 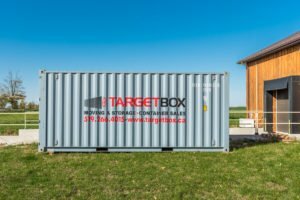 All TargetBox containers include hardwood floors and operable doors. Our shipping containers are designed and built using steel construction resulting in wind, water and fireproof containers. Most of our containers are available in stock. We can deliver to your door within 48 hours, depending on your customization needs. Feel free to contact us with your questions about choosing the best suitable steel container for your needs. At TargetBox, we offer a wide range of container modifications. All of our container modifications can be applied to both new and used shipping containers. Some of the modifications you can request are man doors, roll-up doors, windows, electrical, foam insulation, ventilation, painting, decals, custom interiors, office outfitting, lockboxes and custom modifications. TargetBox has been offering moving & storage in Kitchener ON and the surrounding region since 2009. From our yard, located at 660 Fountain Street North in Cambridge, ON, we provide shipping container rental and sales for home owners, business owners, companies and students. Whether you’re interested in renting or buying a shipping container, TargetBox can provide you with the unit you need. Take the stress out of storing your household belongings when you move by renting a moving container from TargetBox. From our container yard in Kitchener, ON, we provide a variety of simple, safe, and affordable moving solutions. Whatever your company needs, we’ll work with you to provide an effective storage solution that is secure and that fits your space and budget. All TargetBox containers include hardwood floors and operable doors. Our shipping containers are designed and built using steel construction resulting in wind, water, and fireproof containers.